Definition: Static efficiency is concerned with the most efficient combination of existing resources at a given point in time. For example, static efficiency involves the concept of productive efficiency – producing at the lowest point on the short run average cost curve – given existing resources and factor inputs. Static efficiency is also concerned with allocative efficiency – the optimal distribution of resources in an economy. Static efficiency contrasts with dynamic efficiency. This is concerned about the development of better technology and working practices which improve the efficiency of production over a period of time. For example, in the 1920s, the Ford motor factor was very efficient for that particular year. However, compared to later decades we cannot say that the production methods of the 1920s were efficient. In other words, it is important for firms to make the best use of given resources. But, they also need to develop the productivity of resources and production methods over a period of time. For example, by the 1960s Ford’s efficiency and market dominance and begun to wane as better quality Japanese cars came onto the market. Points A and B are Pareto efficient. For that particular year, producing at point A or B indicates static efficiency. 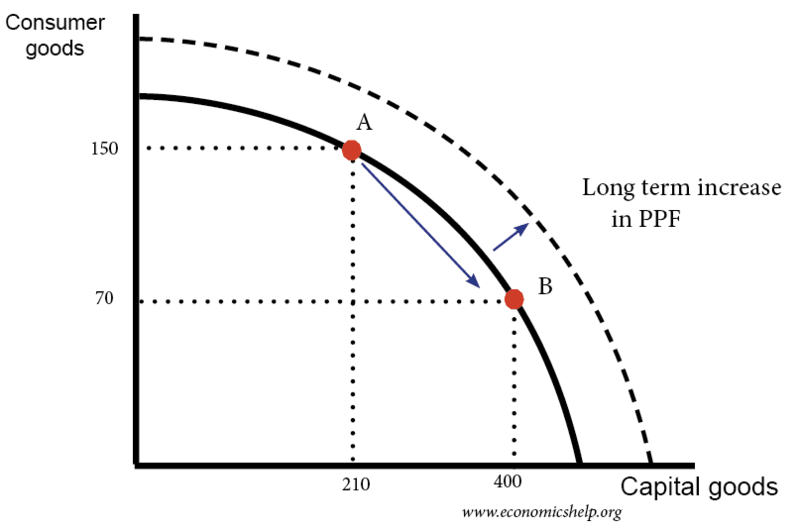 However, over time, investment can enable the PPF curve to shift outwards and enable a greater possibility. Static efficiency is not concerned with future possibilities. At a current point in time, the most efficient trading priority for a developing economy may be to concentrate on low-cost labour-intensive industry. However, in the long-term, it may be more efficient to develop capital and technology to enable a higher wage, more productive economy. This monopoly diagram indicates static inefficiency. 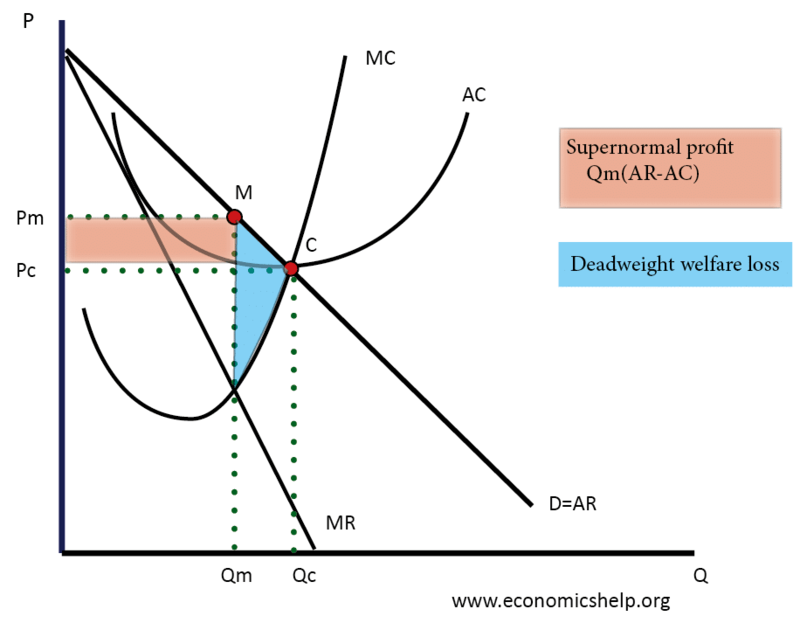 Supernormal profit indicates inefficient allocation of resources. However, if a monopoly uses these supernormal profits to invest and develop new products/production techniques, then in the long-term it can lead to a more efficient outcome than maintaining static efficiency in the short-term. Static vs Dynamic Efficiency – Mark Blaug Is Competition a Good Thing?